Right now these JOY Space-Saving Huggable Hangers® Buy 24, Get 12 More & Organizers are $19.95 (Retail $51.99). It's time to get organized! Neaten up your clothes, jewelry and more with this complete organizing set. 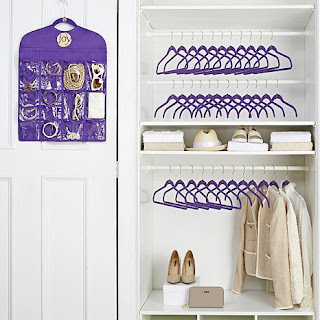 Velvety, space-saving suit and shirt hangers and a 30-pocket hanging organizer give you plenty of places for all your garments and accessories, from heavy coats to scarves, socks, jewelry—even crafts and medication. Put the Joy back in your closet.